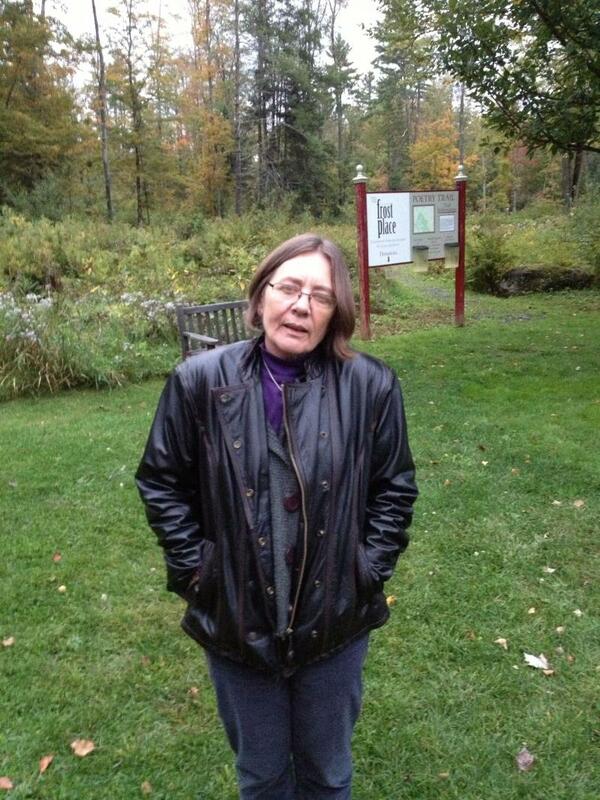 New Hampshire will soon have a new poet laureate. W.E. "Walter" Butts held that post until he died earlier this year. Butts lived with his wife, the poet S Stephanie, in a small house on a quiet side street in Manchester. We shared all our work together, you know like I would write a poem and bring it up to him and he would write a poem and bring it to me. We were always critiquing each other's work, supporting each other's work. In the last part of his life Walter taught creative writing at Goddard, UNH and Hesser. Before that he took any job he could for however long it lasted, maintenance, security, social services, while publishing his poems in chapbooks and journals. Although he advised his students at Goddard College to carry notebooks with them in the event of inspiration, he didn't do this himself. He didn't write on trains or buses or in the car or by the sea. As he told me shortly after being named laureate in 2009, he wrote on an old typewriter in the basement. Most of the time I don’t know what I’m going to write. Sometimes I will just work at the typewriter and just free-write for a while and just see what comes. Sometimes these memories that emerge are memories that I’ve carried for a long long time. And never found a language for. And then eventually I do. What he was trying to do was look at memory from many different angles and how does it play a part in our lives. Walter Butts grew up in a working class town in upstate New York. His parents collected antiques. His father loved to write. When Walter was four years old, he went with his mother to visit a pair of elderly sisters. 60 years later, this memory became the poem “Porcelain”. Walter reads an excerpt from Porcelain. Sean: And when you’re reading over that do you resonate with a particular part of it or the sensation of it? Walter: There’s that moment, “Even the turtledove and hummingbird were there, and then I was raising the birds above my head and I sang for them too and I barked for the dogs and whinnied for the horses and the room filled with flight and the new sounds I had made for them all. "That phrase – for whatever reason - that resonates with me. I feel a rhythm, a musicality – there’s something happening. This something didn’t just happen when he wrote it. It first happened when he was 4 years old. And while the poem's mood evokes the charm of recollection, its real insight is that a boy's perception extends as deeply as the man he'll grow up to be. I really hold to the notion that poetry is the literary form closest to what it means to be human. S Stephanie says that her husband wrote and continued to teach nearly to the day he died. Poetry lay at the center of their 21 year marriage. It was there every day. It was there at the end. It was there at the beginning. When we met I handed him a stack of poems and he handed me a stack of poems. He did a reading up in Maine and I went to that reading and saw him read and fell absolutely in love with his poetry. And a few months later I was going to Boston and called him and asked him if he wanted to meet for coffee. And so we met in Cambridge for coffee. And 7 hours later, and $35 in parking tickets later, I think we were totally in love. The Poetry Society of New Hampshire will announce the state's next Poet Laureate on November 6, as part of the 2013 Governors Arts Awards in Manchester, N.H.
W.E. Butts reads his own poem, "Porcelain". W.E. Butts reads his poem, "Boys at the Saturday Matinee".